Brad Gobright and Jim Reynolds climbed The Nose in 2 hours, 19 minutes, and 44 seconds. The Nose of El Cap, in Yosemite, Calif., is one of the world’s most famous rock climbing routes. Brad Gobright and Jim Reynolds now hold the record for the fastest time up El Cap. On October 21, the team climbed The Nose in 2:19:44 using a mixture of free climbing and aid climbing. The absurdly fast pace knocks four minutes off the previous record of 2:23:46, set in 2012 by Alex Honnold and Hans Florine. To climb The Nose takes extreme climbing fitness. The pitches range in difficulty along 2,900 vertical feet of stone and sometimes require long traverses. Getting up is challenging enough for most climbers. Doing it as fast as possible is a whole other beast. Speed climbing often incorporates a riskier style, with safety precautions downplayed for the sake of quickness. Running out placements of protection, simul-climbing, and even foregoing protection altogether is common. To be clear, however, Gobright and Reynolds did not free climb each pitch. They relied on both aid and free climbing techniques. The Nose has been the subject of speed ascents for decades, with the world’s best climbers trying to outdo each other. From imposing obstacles like the “Great Roof” and “Changing Corners”, to gentle 5.9 hand cracks, the 31 pitches of The Nose make for exceptional climbing. To do all of this in 2:19:44 is seemingly unthinkable. It’s debatably the most impressive speed ascent in climbing history. Gobright is known in climbing circles for his lightning-fast style of climbing and dirtbag ways. 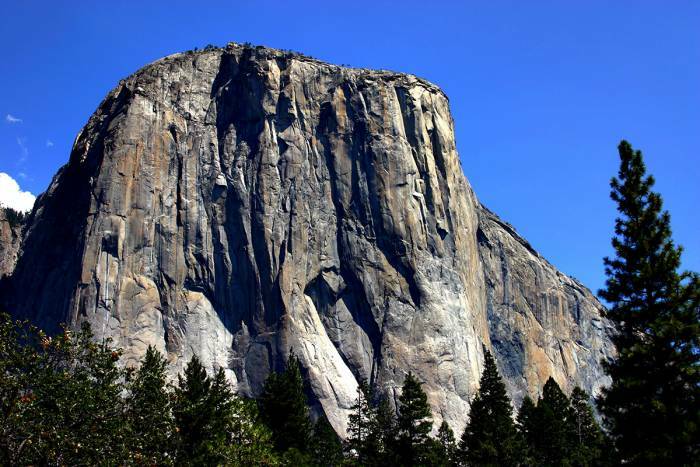 In 2016, he climbed three routes up El Capitan in under 24 hours, The Nose included. He also set a speed record on another classic route, the Naked Edge in Eldorado Canyon, but later was beaten by another team. The new record on The Nose is an impressive accomplishment for both Gobright and Reynolds. Learn more about Gobright in the upcoming Reel Rock feature film, Safety Third.